Can you believe that this is the last Turn It Up Tuesday for 2016? It was a great year. To end the year with a bang, we want to celebrate 2016 by having you share some of your best posts in 2016! Share those posts nearest and dearest to you, the best family-oriented posts of the year, the best DIY crafts that you've done this year, your New Year resolutions for 2017 (and how you achieved your 2016 resolutions), anything that made 2016 a great year for you! Thank you so much for stopping by last week and sharing all of your posts - we had so much fun checking them all out! ...and welcome our guest hosts for December! Mari chose Orange Pecan Cinnamon Roll Donuts from Delightful E Made. "never turn down sweet rolls of any kind lol." Mari chose Motherhood Madness from Coffee Mounds & Lipstick Clouds. "I always enjoy parenting humor so this was great treat." Jessica Candy Cane Layer Cake chose from Annie's Noms. "This cake looks amazing!" Bev chose Cranberry Orange Walnut Sweet Rolls from The Gold Lining Girl. "Wow, these would be so heavenly to have on Christmas morning. My husband would love the ones with figs. Need to try that one too." Aliyah chose Spending the Holidays Along? 5 Tips to Help You Through It! from our very own Natasha from Epic Mommy Adventures. "Natasha wisely and supportively guides single parents to successfully negotiate and navigate the holidays for the benefits of all involved: themselves, their exes and, most importantly, their children, too." Reuven chose Review: Squatty Potty from Reviews, Chews & How-Tos. "chose this post because it takes a humorous look at one of life's requirements and introduces a very interesting and potentially valuable product at the same time." Natasha 6 Things to Let Go to Live a Truly Happy Life chose from Urban Naturale. "I think people dwell too much on having that one additional thing in life - money, wealth, a house, that new car - to make them feel happy. Happiness is something that lives within and exudes out, and this post makes this clear. I am a great believer in being happy and letting go of those things that don't bring me joy. Great post!" Natasha 25 Awesome Christmas Cocktails chose from Budget Girl. "After the holiday shopping, wrapping gifts in the middle of the night, and assembling numerous gifts on Christmas, I'm craving one of these cocktails. Thanks for the sharing!" The post with the most views Winter Solsticeis from Pleasures of the Northwest. We won't be sharing the Best of the Best this week...but know that all of these posts deserve to be Best of the Best! 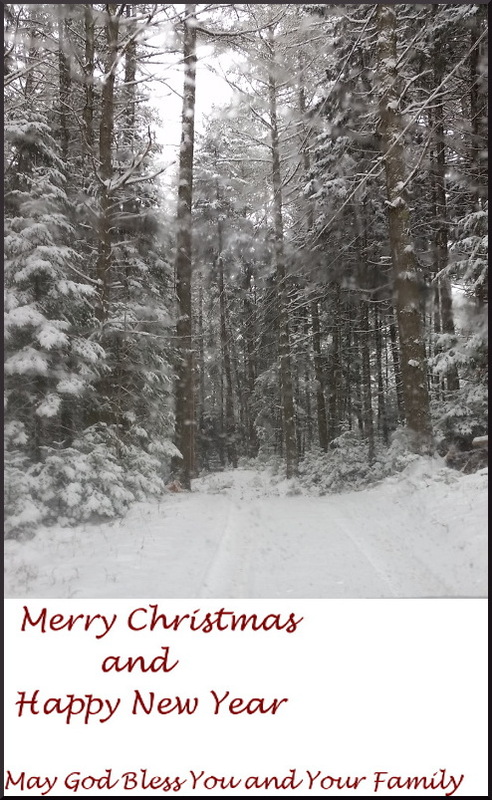 I hope you had a Merry Christmas with family and friends. We are here in our last week of You're The Star for 2016. Can you believe it? I am so excited that you are here sharing with me. Check if you were featured and then link up. I want to wish all of my friends a Merry Christmas. I hope that the joy of the season will be with you, your family and friends. With the holidays just days away, there are so many great causes to think about in the spirit of giving back. Paperless Post is one example, partnering with (RED) this holiday season in support of the fight against AIDS. In addition to offering beautiful designs, this is also a great opportunity for last-minute Christmas and holiday cards. The holidays seem to approach in no time at all, and it can be hard to find time to craft beautiful cards for everyone with the hustle and bustle of entertaining and celebrating. Here you can explore a variety of beautiful designs, all from Paperless Post’s charity collection. 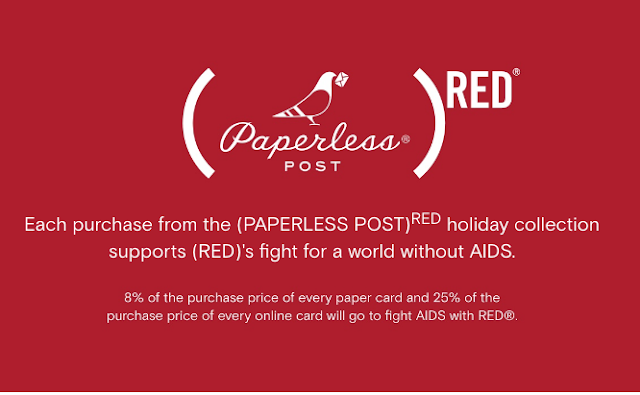 With each online purchase from the (RED) section, 25% will go in support of the cause. The online cards and invitations are filled with customizable options that can be sent online, delivered quickly and tracked with ease. Check out all of these designs and find your favorites! Welcome to a new week on Turn It Up Tuesday! Christmas is this week ...can you believe it? Share your favorite Holiday posts - crafts, decorations, traditions, and everything in between - from past or present! Welcome to You're The Star and week #3. So delighted to have you spending time with us this Christmas week. I know that everyone is busy getting ready for the holidays, but hope you can spend a few minutes sharing at our party. Check out the features too. Welcome to Christmas Week at Over The Moon Party. Can you believe that Christmas is only a week away? I am sure you have lots of great posts to share with us this week. So excited to see all of them. Have a merry Christmas to all of our party friends. Statistics for Over the Moon Link Party #53 saw our highest number yet! 745 pageviews, 247 links, and 287 clicks on those links. And the numbers continue to roll in!